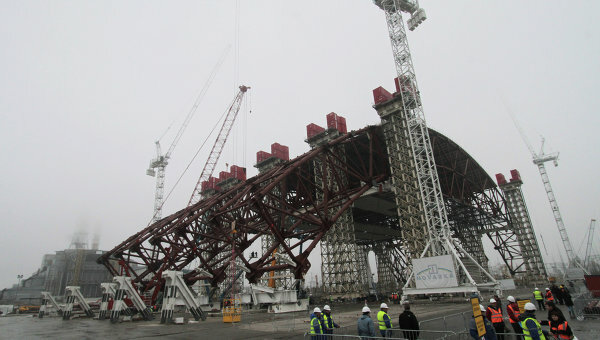 In 2010, workers began working on a new containment shield to cover the Number 4 reactor at the Chernobyl nuclear power plant to prevent further leakage of radioactive materials from the crippled reactor. The project was estimated to cost €1.5 billion and to be completed by October 2015q. The current unrest in Ukraine could potentially delay work to complete construction and installation of the shield by at least two years.